It wasn't difficult for me to select my 'Costume of the Month', since I spent many, many hours designing, constructing and embroidering it. The dress was a second-year project for my degree. Of course every costume is wonderful in its own way, but this one is very special to me, and, on completion, I decided that I'd donate it to Costume Hire where it would continue to give pleasure to others. The brief was to design for a film called 'Clue', based on the well-known board game Cluedo. Although I retained the film's original 1950s period in my designs, I chose to set the film in a theme park rather than the traditional house, my embroidery and embellishment ideas being inspired by the shapes and structures of theme park rides. As I live near Blackpool I was able to visit the Pleasure Beach for research and inspiration. 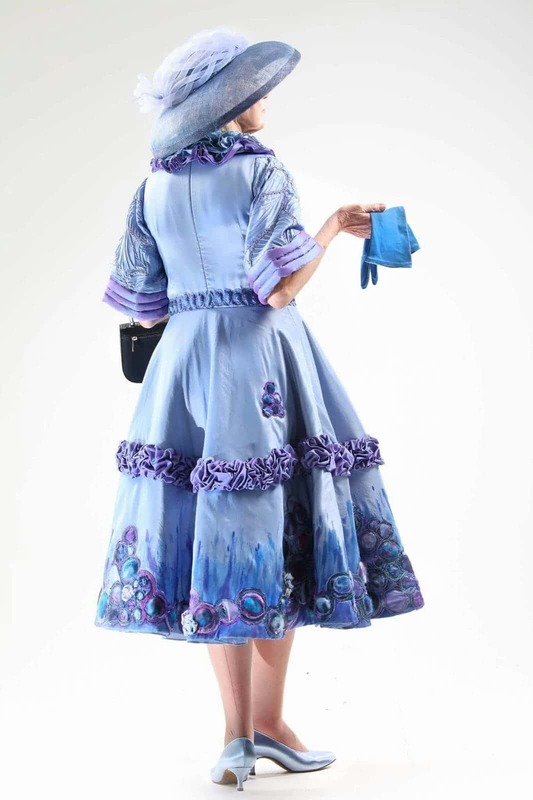 My finished costume was for the character of Mrs. Peacock, and the shape of the coat-dress was taken from the classic 1950s Dior shape. The colours were chosen to give a true representation of the character and for the audience to get a clear understanding of who she was as the story is very fast-paced. Many aspects of embroidery are incorporated into the costume, for example the pintucking all over the sleeve, together with the hand-dyed cording, transforming a plain piece of fabric into something textured and detailed. Each sleeve piece took 12 hours of sewing to complete.. The bottom of the coat was hand-painted with a layering of 8 different fabrics, felting and freehand embroidery and embellished with beads hand-made from dyed fabrics. 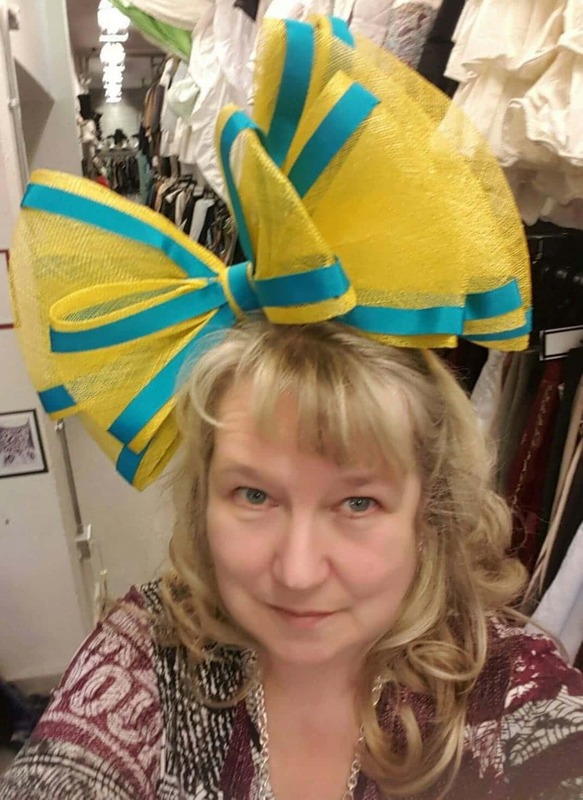 We’re introducing you to some of our Costume Hire volunteers over the coming months, so that you get to know us a little better. This month meet Judith Khoudi, who has been one of our Wednesday volunteers for 3 years. Although I’m officially ‘retired’, having spent the bulk of my working life in management at the Royal Mail, I now run my own dressmaking business from home, specialising in ballroom dance dresses. In addition to being interested in things costume- and fabric-related as long as I can remember, I have always been a ballroom dancer and teacher, even whilst I had a full-tome career. I eventually took the opportunity to take voluntary redundancy in order to sign up at the University of Huddersfield for a 3-year degree course in Costume with Textiles, which led to my doing a 3-month block placement at Costume Hire. I enjoyed the experience so much that I became a Wednesday volunteer on completing my degree.  After a full-time career in management, I have finally found my ideal combination of jobs;, making costumes for clients who take part in ballroom dancing competitions at the highest level, and also restoring and making costumes for the Costume Hire department at the Royal Exchange Theatre. The variety of people who visit Costume Hire is amazing, so it’s never dull. My Wednesdays are special in that I’m surrounded by wonderful, creative people who are an inspiration, and, as I usually work from home, I really appreciate the friendship and weekly catch-up with the other Costume Hire volunteers. Each month Costume Hire will profile one volunteer who will select their costume of the month. This month Irene Gibbons, Costume Hire volunteer for 12 years, introduces her choices - a Tudor Dress and one from the mid-seventeenth Century. LUDA'S COSTUME OF THE MONTH!